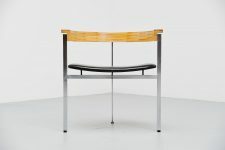 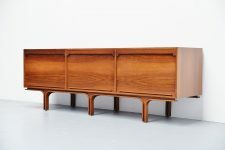 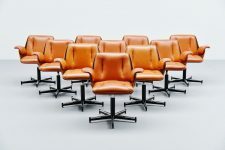 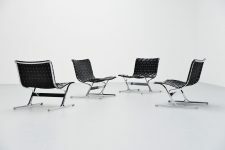 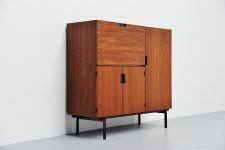 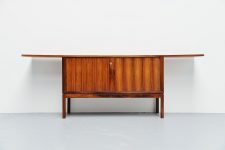 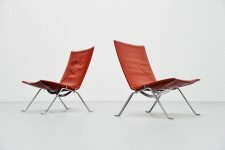 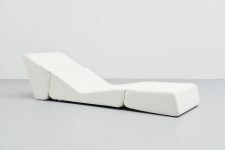 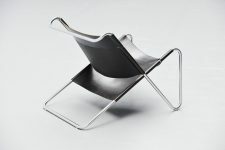 Fantastic dynamic lounge chair model Arco designed by Paul Tuttle for Strassle International, Switzerland 1976. 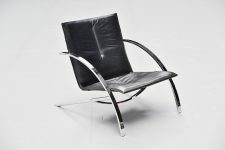 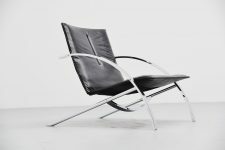 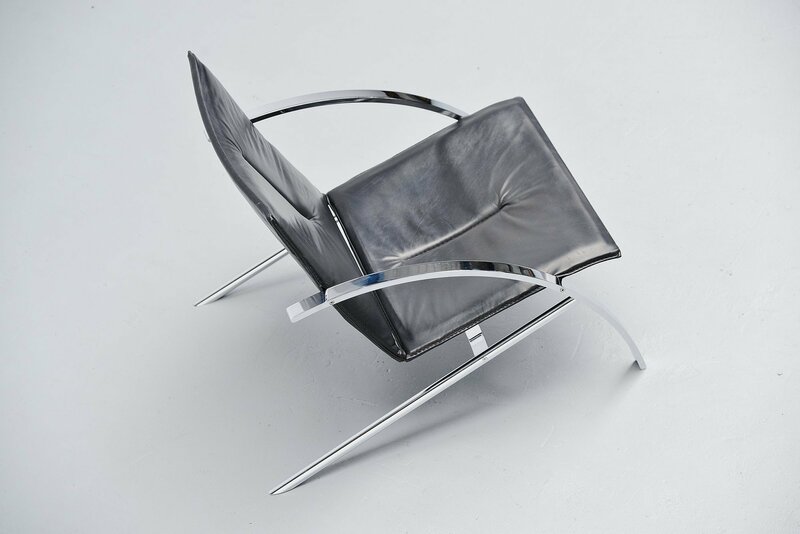 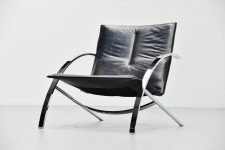 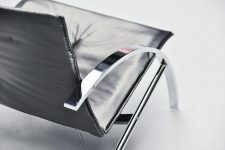 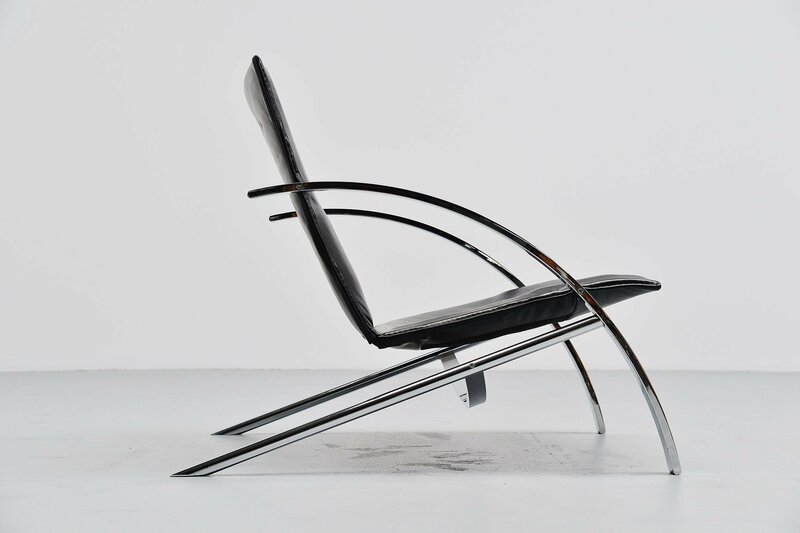 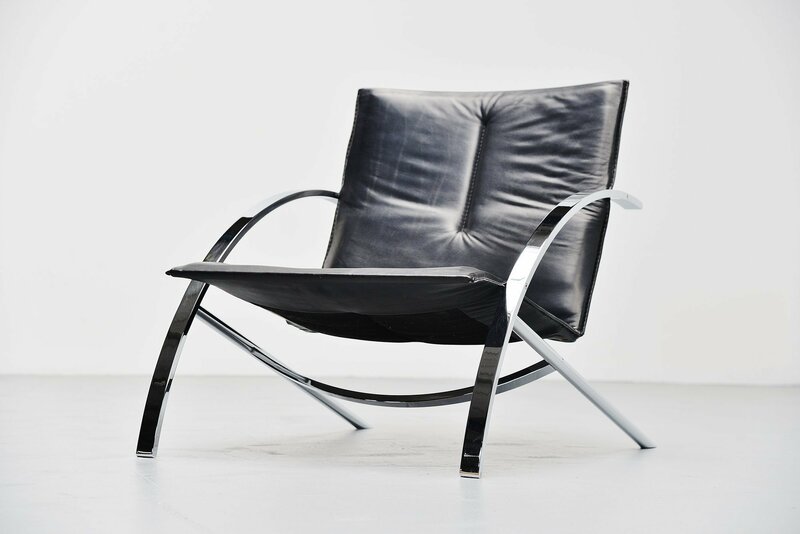 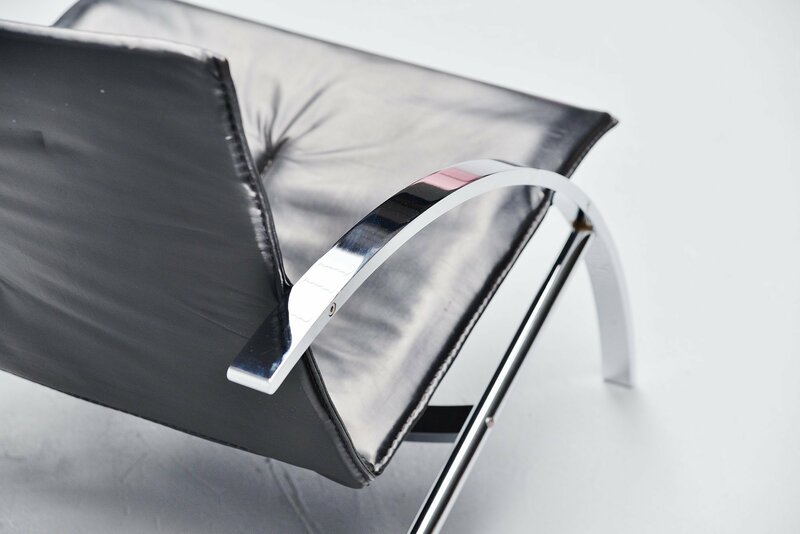 Super heavy quality lounge chair in heavy solid chrome plated metal and high quality black leather upholstery. 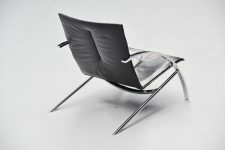 Very nice low lounge chair comfortable seating pleasure. 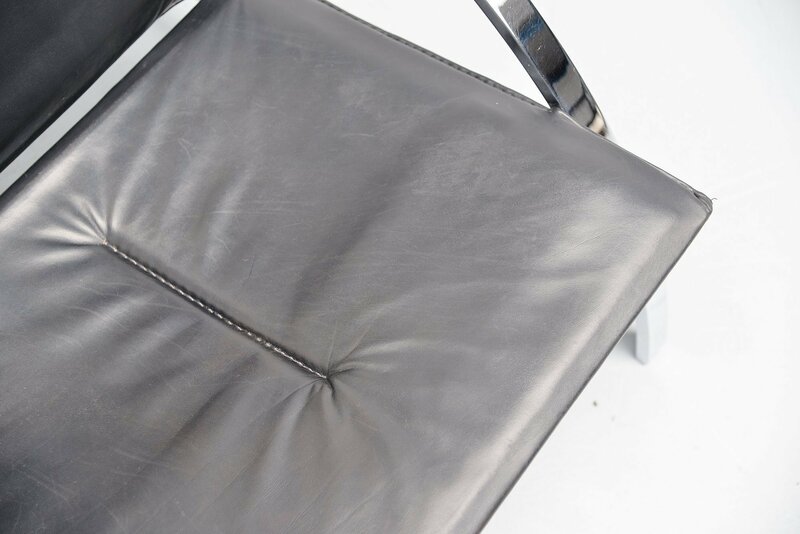 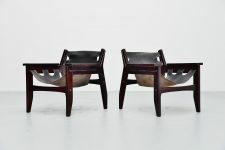 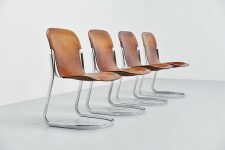 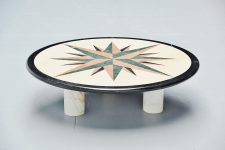 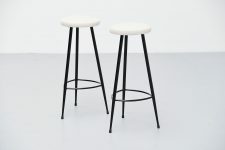 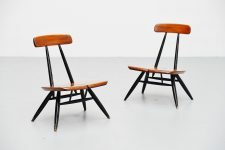 The chairs are in good condition with minimal wear due to age and usage. Some very small marks are visible to the leather.